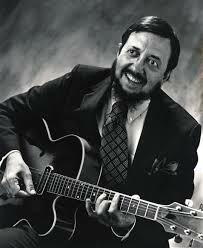 Barney Kessel (October 17, 1923 – May 6, 2004) was an American jazz guitarist. He is particularly known for its chords knowledge and inversions. He drew his inspiration from the instrumental practices of Charlie Christian. He was a member of many jazz groups as well as a "first call" guitarist for studio, film, and television recording sessions. Be informed of upcoming lines, subscribe to the newsletter. 5 Barney Kessel jazz guitar lines transcribed from the tune let's cook.